Some months ago I saw this New York Times article with the title “Broadband Yes. 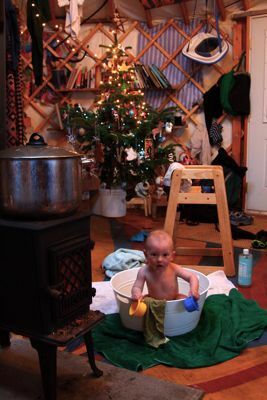 Toilet No” about a young educated couple, Erin McKittrick and her husband Hig, living in a yurt in Seldovia, Alaska. Hig has a PhD in Geology, while Erin has a master’s in Molecular Biology. Then I heard them interviewed on our local public radio station about their new book detailing their thirteen-month journey by foot and paddle some 4000 miles—my interest was clinched. The Long Trek Home, published by the Mountaineers, is the tale of this young couples walk from Seattle along the coastline way up into Alaska where they conclude their long walk and later settle on family property in Seldovia, Alaska. It is an amazing story of determination and a respect for the land, written by a curious young couple who have a bright future ahead of them with their new toddler son Katmai, in 452 square foot living space, in a town of 250. Quite a tale. The FocusDriven board is comprised of family members who lost loved ones due to motorists using their cell phones while driving. Many recent media outlet have covered the recent research findings that a person driving while talking on a cell phone is as potentially dangerous as a person with a .08 blood alcohol level! A Carnegie Mellon study took pictures of the brain while drivers listened to sentences and drove on a simulator. The drivers listening to sentences had a 37 percent reduction in spatial awareness, which can directly contribute to cognitive distraction. Here’s a clever diagram that may help your offspring or your friends to keep cell phone etiquette in perspective. I enjoyed the comment beneath the suggest to keep your voice down that suggested if someone is talking loudly on the cell phone in a public place to respond loudly as if they are taking to you (then again they may not notice since these tend to be fairly self-involved people).